The Hercules is a beautiful 24" Double Hose Hookah that offers a unique, yet authentic presentation in any setting. 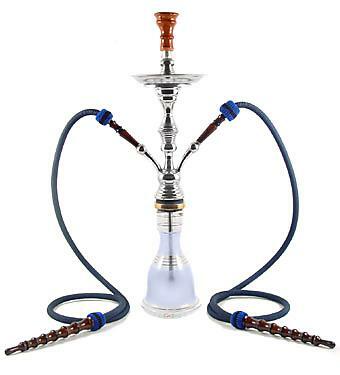 This Hookah contains a durable Classic Style Glass Vase that is not easily breakable. The Hercules is imported directly from Egypt, being hand crafted out of a high quality stainless steel material that will not rust or deteriorate over time. This Hookah may be used for both decorative and smoking pleasures, providing entertainment for years to come.